Everyone is free to choose any saint he/she wants to have a devotion to. People have their own reasons for choosing certain saints as their patron. Personally, my devotion to St. Joseph stems from the fact that I could count on his intercession on important aspects of my life: family, work, spiritual development. I can count on St. Joseph's intercession for the protection of my family just as he protected Jesus and Mary. I can count on His intercession in my work because he too worked to support his Holy Family. I can count on His intercession for my spiritual development as he is the patron of the Universal Church of which I am a part. His virtues are certainly worth emulating. Through the years, both popes and saints have encouraged devotion to St. Joseph. On August 15, 1889, Pope Leo XIII issued an encyclical letter on the Devotion to St. Joseph entitled "Quamquam Pluries". "Redemptoris Custos" (Guardian of the Redeemer). 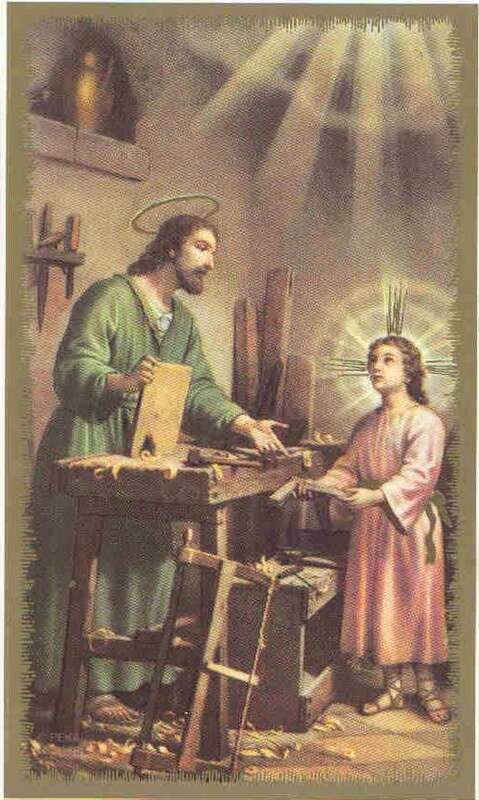 Pope Pius XII instituted the feast of St. Joseph the Worker on May 1. Pope John XXIII inserted St. Joseph's name into the Roman Canon of the Mass. St. Teresa of Avila is an example of a saint who had great devotion to St.
Joseph. St. Augustine and St. John Chrysostom spoke admiringly of St. Joseph. So did St. Bernardine of Siena who said that Jesus respected St. Joseph so much on earth that He will not refuse him anything in heaven. Blessed Andre Bessette has attributed all the miraculous works God has allowed him to do while he was ministering at the St. Joseph's Oratory, to the intercession of St. Joseph. Some people may argue that devotion to the saints keeps us from developing a closer relationship with God. I tend to disagree. You see, true devotion to Saints like St. Joseph involves seeing and imitating how they, who have had a close relationship with God, lived and reflected Him in their lives. While this is certainly no substitute for imitating Jesus, I believe it teaches us how to better relate to our Saviour. "Of course, we don't have to pray to the saints; nor do I believe we are required to do so. But isn't it very human for us to want to know and become friends with those who know the Hero, especially if they have had first contact with him or her? Don't we often relate to the friend of someone from whom we wish a favor or about whom we wish to know more in order to get more of a feel for what kind of person the Hero is? Of course we do this all the time and I see noreason why we shouldn't do the same in case of those whom we call saints because of their unique relationship to the supreme transcendental source of our faith." 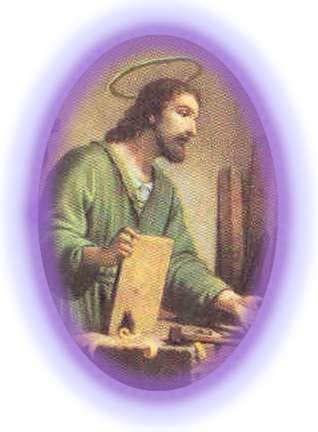 I have been a St. Joseph's devotee for several years now and I can honestly say that my devotion to him has paved the way for a closer relationship with my Lord and Saviour, Jesus Christ as well as with Mary. It is almost impossible to think of Joseph without thinking of Jesus and our Blessed Mother.